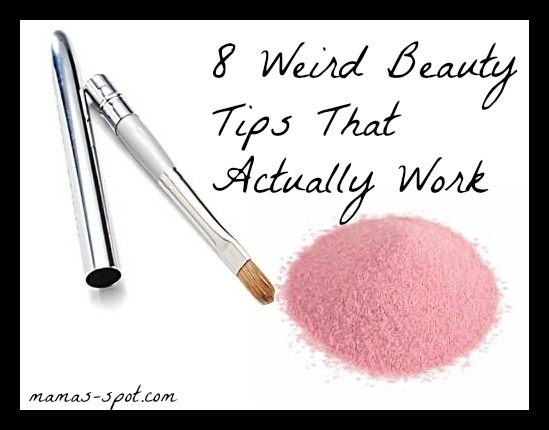 8 Weird Beauty Tips That Actually Work! Ever notice how you always end up with red hands after making Jell-O? Hmm, turns out it’s a pretty great lip stain after all. To get the look, celebrity makeup artist for Physicians Formula, Joanna Schlip, says to “pour the powder mix into a bowl and moisten a Q-Tip with water. Then, being very careful not to use your fingers since the red stains stay put, dip the Q-Tip into the powder and apply it directly to your lips.” This is a great non-drying alternative (since most long-wearing lipsticks dry out your lips) that will leave behind a stain all day, she says. Looking to add a little volume to your mane? Of course you are! Pour some beer into a bottle (and no, we don’t mean a Bud Light bottle silly), and spritz it onto your locks from roots to ends. “The yeast in the beer makes the hair really puffy and thick,” says LA-based celebrity hairstylist Frank Galasso.